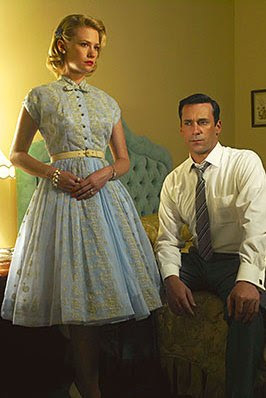 Have you seen the show "Mad Men" yet? I know I'm probably way behind on this but I just started watching the show from the very beginning (Season 4 starts July 25) and I am in love. The first episode of the first season was a little slow, but by the end of that episode I was surprisingly hooked and couldn't wait to watch the next. Not only is the plot addicting but I find it super interesting to see what life was like back in the 50's. 69 cents for two sandwiches!!! A weekly salary of $35!! Then when I watched the second episode and was introduced to Mrs. Betty Draper I was officially a fan and completely hooked forever. I am in love with this woman's wardrobe. 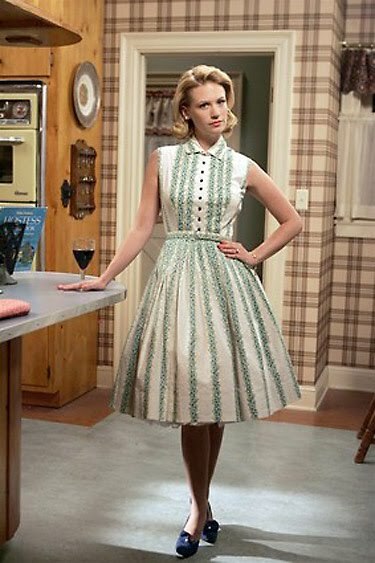 I instantly wanted to be a 50's housewife wearing these gorgeous dresses making dinner for my husband who was three hours late and taking care of the kids. I am now on the hunt for the perfect dress to make me feel vintage and chic. ModCloth is a great site for vintage inspired dresses!! I'm doing the same thing! I'm just finishing the 3rd season and I'm in love. 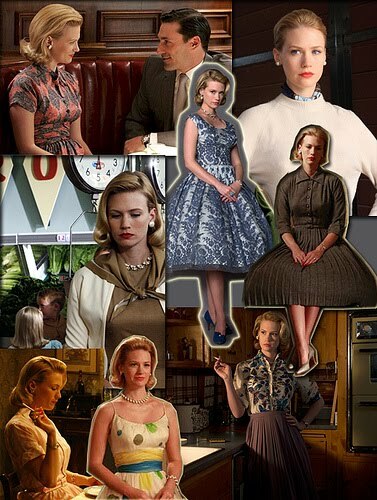 I'm thinking of finding a pattern and making my own Betty dress.